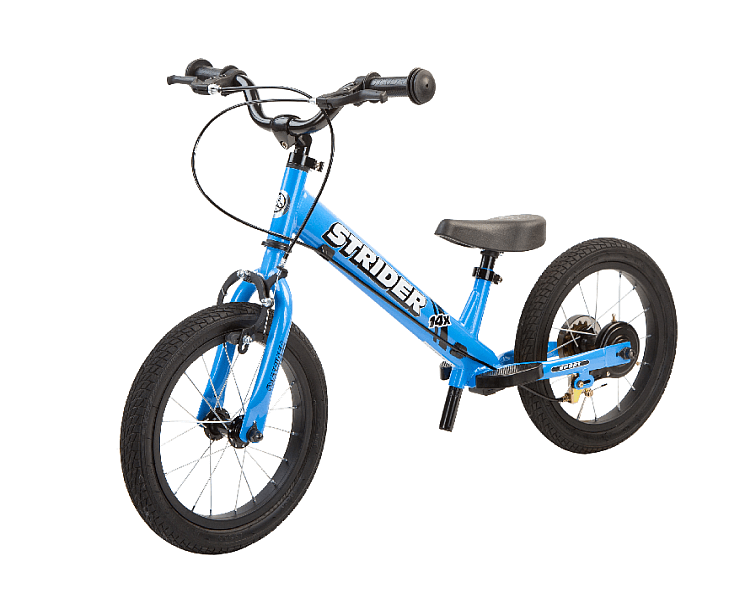 With the STRIDER 14X Sport Balance Bike/Pedal Bike, you get two bikes in one! 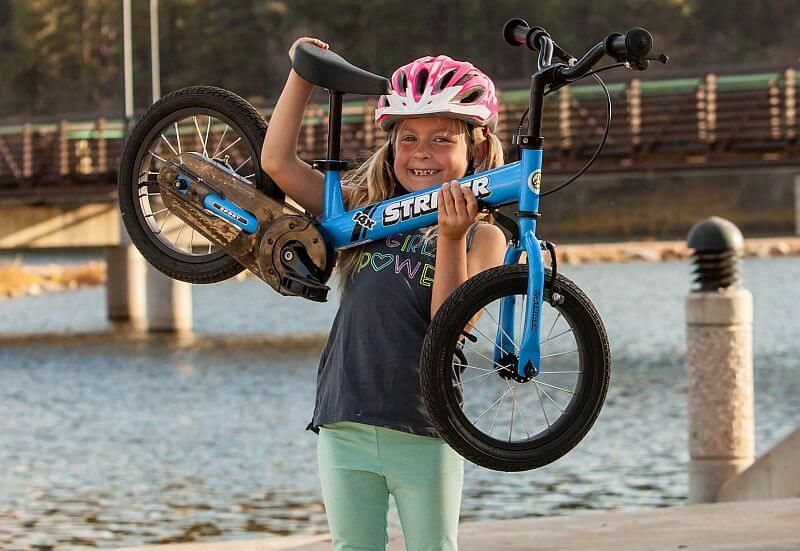 It starts life as a balance bike with 14″ air tyres for a cushioned ride. When your child has mastered their balance and is confidently whizzing around, simply add the Easy Ride Pedal Kit and it transforms into their first pedal bike too! Comes in Blue and Green Colours. Quick and simple conversion means changing from balance to pedal bike mode can be done in a matter of minutes. Simply bolt on the Easy Ride Pedal Kit with covered chain which helps prevent injuries as well as dirt and dust build up. At just 6.1kg in balance bike mode, rising to a mere 6.9kg in pedal mode, the 14X is light and portable to take anywhere. The 14″ alloy wheels with chrome spokes are the ideal size for children aged between 3 and 7. 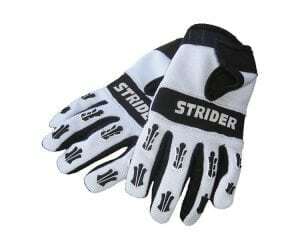 The 14″ x 1.75″ pneumatic rubber tyres keep the weight down and the traction up for a cushioned ride. Perfect for a comfortable riding position and posture. It includes a long seat adjustment from 38cm (15″) up to 56cm (22”) seat height so the bike can grow with your child. A quick release ‘no tools‘ clamp for easy adjustments. Narrower pedals and shorter cranks fit your child’s foot but still allow them to stride around when first setting off to get momentum. Caliper brakes on both wheels for safe slowing and stopping. The 22.2mm, soft, polyvinyl grips give comfort and protection. The handle bars adjust in height as well as back and forwards to create the perfect fit for your child. The removable footrest is still there for the balance bike mode to give your kids a place to rest their feet while coasting. Allows your child to develop their sense of balance which is a key motor skill, and have bucket loads of fun at the same time. Allows the conversion to a pedal bike when they are ready, all in one product. They build leg, arm and grip strength. So important for physical play and school readiness. See more about the importance of motor skills here. Assembly | Comes mostly assembled. See Assembly Videos for details. Air Tyres will need inflation after assembly before use. Safe riding should always include a bike helmet. Check out our range of high quality MET Helmets to protect your little ones. I wanted to drop you a line to say thank you so much. He loves the bike and it’s such a great idea as he’s too big for the standard balance bikes but is still not comfortable peddling yet. 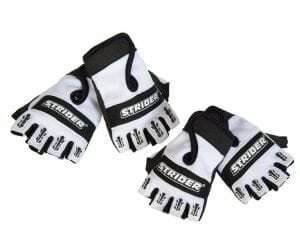 The Strider 14x gives us the versatility to use the bike for both. So, thank you for your great customer service.